Apple has had some small hiccups with the production of the latest iPhone X due to the shortage of Face ID dot projectors. In order to never repeat that problem again, Cupertino is investing $390 million into Finisar, an optical communications component business that builds high-end light-based products. Located in Sherman, Texas, Finisar will be able to employ an additional 500 skilled employees to keep up with the demand from Apple. Increased research and development spending will improve the mass production of vertical-cavity surface-emitting lasers (VCSELs) used for Face ID and assisting with Portrait mode. AirPods also use the technology for proximity detection. Unlike the newer surface emitting technology, older emitters use the edge of the component for dispersing light. The newer tech is arguably the most advanced optical component ever put into a consumer-grade mobile device. Apple is responsible for buying 10 times more VCSEL wafers during quarter four of 2017 than were manufactured globally in previous years. Finisar already has a plant in Allen, Texas but will be retrofitting an older facility in Sherman, Texas specifically for Apple. With the addition of 500 skilled positions including engineers, technicians, and maintenance staff for advanced machinery, Finisar will have $65 million worth of staff on their payroll in Northern Texas. Apple's investment into Finisar is part of a $1 billion plan to bolster advanced manufacturing in the United States. Previously this year, Apple handed over $200 million to Corning in hopes of receiving significantly better Gorilla Glass panels. 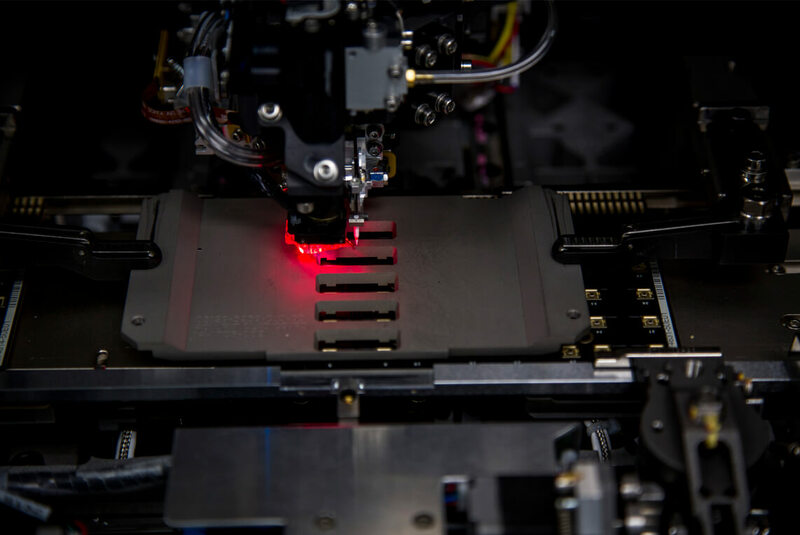 Finisar's Sherman location will begin shipping the first batch of laser components in the second half of 2018.